Five-time major champion Phil Mickelson and his long-time caddy Jim “Bones” Mackay have made a joint statement that they are parting ways after 25 years together. Mackay, who was born in England and moved to Florida at the age of 7, has been on Mickelson’s bag ever since he turned pro in 1992. The pair have won five majors together – 2004 Masters, 2005 PGA Championship, 2006 Masters, 2010 Masters and the 2013 Open Championship – and competed in 11 Ryder Cups as well as sharing 41 PGA Tour wins. “After 25 very rewarding and memorable years, Bones and I have mutually decided to end our player-caddie relationship. Our decision is not based on a single incident. We just feel it’s the right time for a change,” said Mickelson in his press release. Mickelson’s brother, Tim, will help out with the bag duties while a replacement is found. Speculation surrounds Mackay’s golfing future, however early indications are that he may choose to caddie for another PGA Tour player or move into a television commentary role. “After an amazing 25-year run, Phil and I have mutually decided to go our separate ways. 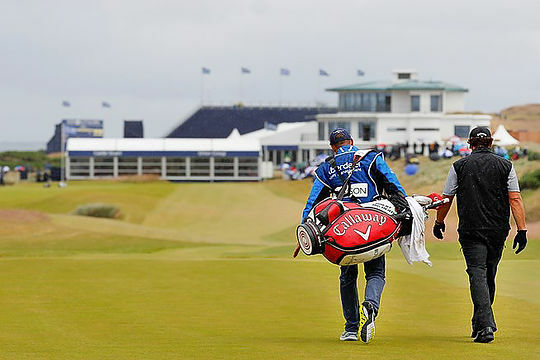 Player-caddie relationships don’t often last that long. I will always be grateful that I was around to witness so much of Phil’s career,” said Mackay.